I can’t even believe that Thanksgiving is Thursday! As a kid, time seemingly crawled through the holiday season. It seemed like the days were longer, stretching time infinitely longer than it should be before Christmas. But as an adult, sometimes I wish there was a giant remote where I could press ‘Slow-Mo’ for a second because there isn’t enough hours in the day. With the hectic holidays on the near horizon, I’m sure one more Thanksgiving craft is hardly crossing your mind — BUT, let me change that. 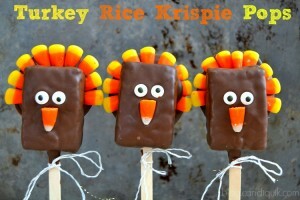 These Turkey Rice Krispie Pops are so easy, they practically make themselves. 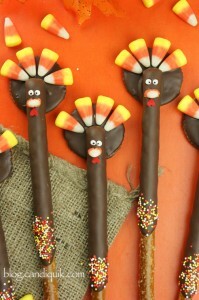 First up, you coat a round cookie (I used those crunchy oatmeal ones) in Chocolate CandiQuik, then arrange candy corn around the cookie in a half-moon pattern for the turkey feathers and let the chocolate set. 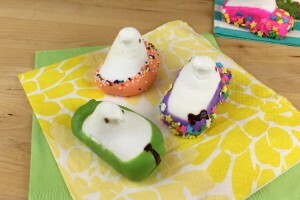 Next, stick a lollipop stick inside of a Rice Krispie, coat that bad boy in chocolate, then attach it to the feather piece. Add some eyeballs, a candy corn nose, and tie on a ribbon if you’re feeling especially festive. Then eat! 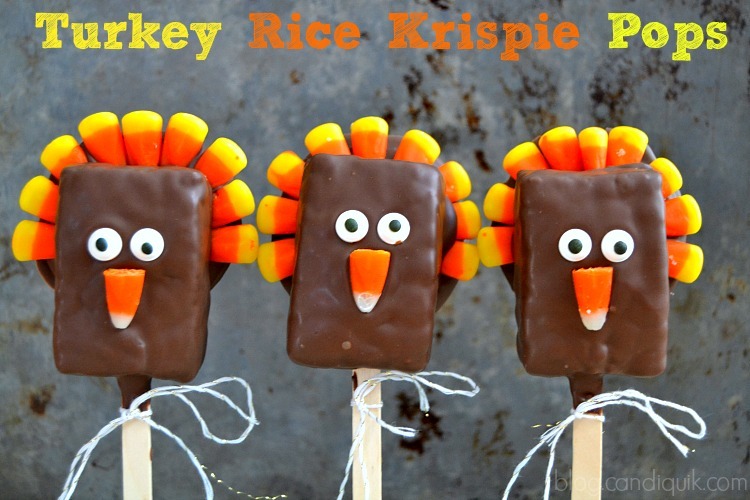 Simple and sweet Turkey Rice Krispie Pops couldn't be easier and make for fantastic Thanksgiving gifts to family and friends. 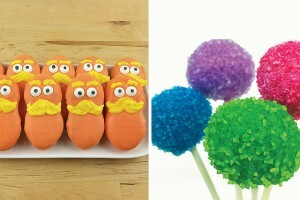 Kids will love getting involved in creating these delicious critters! First, line a baking sheet with foil or a silicone liner. 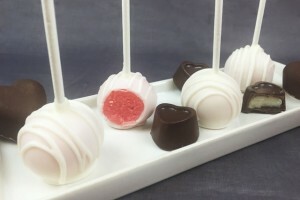 Gently stick a lollipop stick about halfway through the bottom of a Rice Krispie Treat and set the treats onto the baking sheet. Next, coat the cookies in the melted Chocolate CandiQuik. 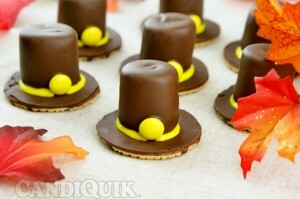 Return the cookies to the baking sheet and gently attach candy corn in a half-moon shape around the top arc of the cookie to create the turkey headdress. Allow the cookies to harden. 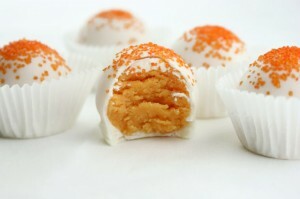 Meanwhile, while cookies set, dip the Rice Krispie Pops in the remaining CandiQuik, coating them completely. 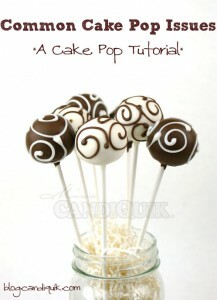 Allow excess chocolate to drip off, then gently press the Krispie Pop onto the cookie headdress. 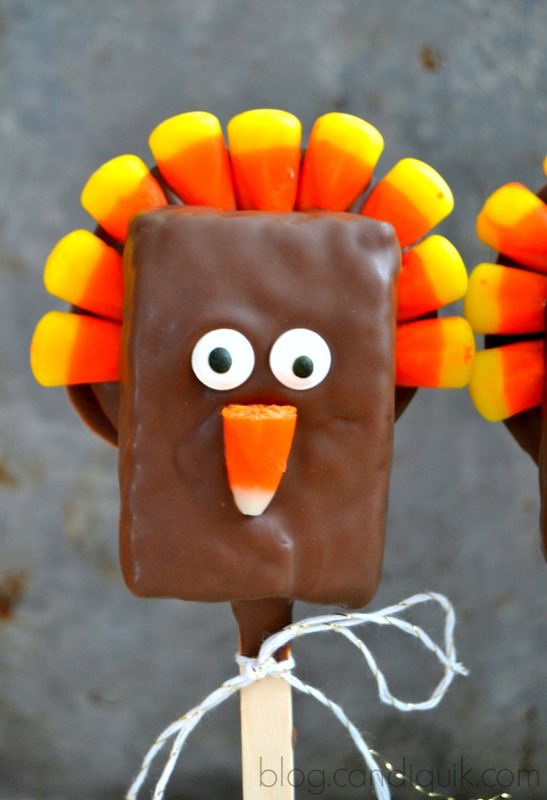 Quickly attach eyes and a candy corn nose to the turkey and allow the pops to set. 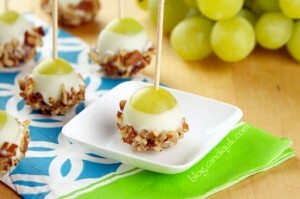 The beauty of this recipe is that you can make as many or as little pops as you’d like! 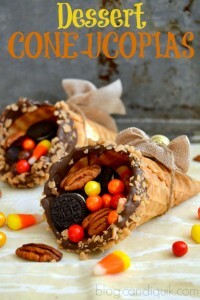 Try alternating Indian corn and candy corn for a festive appearance, or using paper straws in fall colors to add a nice touch! 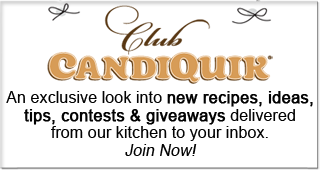 Looking for more easy, last-minute Thanksgiving giftables? It’s not just you … time does fly by … the older you get, the faster it goes! Love the turkey, especially the big head vs. the tail feathers … pinned! Brenda, good to know I’m not the only one! Thank you!